Day five on Oahu could be simply called turtles, turtles, and more turtles. One of the reasons that I was interested in staying on the North Shore rather than Waikiki was the abundance of green see turtles. Today we enjoyed watching these magnificent animals at various beaches, including their daily visit at a beach for sun and a feast of sea grass. It was a great way to spend the last full day on Oahu. We began the day by finding a relatively secluded cove with no one but ourselves to enjoy the pristine beach. When we were swimming in the relatively heavy surf, a huge green turtle appeared and looked at us for the longest time. We quickly moved away and gave it an ample path forward. That was the first of six such sightings of different turtles working along the shore line. I was ecstatic because this was my top objectives in coming to the North Shore. The green sea turtles migrate long distances to feed and breed. They can live to 80 years in the wild. They are also listed as endangered by the IUCN and CITES. They can grow to five feet in length with an average weight of 50–419 lb. We then went to Laniakea Beach, also known as Turtle Beach, where dozens of sea turtles make daily pilgrimages to feed on the seagrass off the rocks in the sun. It was overwhelming. A dozen huge turtles moved off and on the rocks. Unfortunately, there are always some people who show no interest or inclination to respect basic rules set out to protect the wildlife. It is against the law to interfere or touch these turtles. You are required to stay ten feet away. That is hardly a deprivation in watching these turtles. However, some idiots got into the water inches away from the turtles while others took moronic poses virtually on top of the creatures. 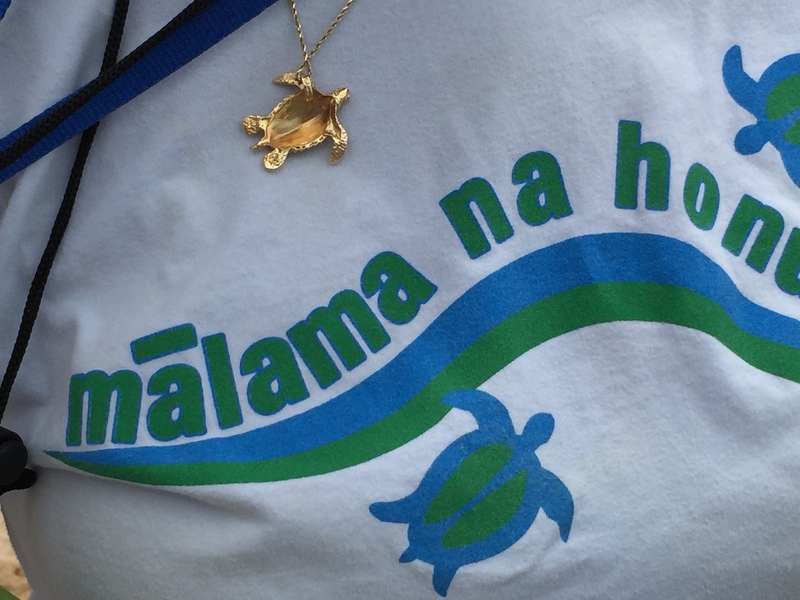 The redemption for the human race was found in volunteers from the Malama na Honu (Protect the Turtles) organization, a wonderful organization which serves as daily guardians of these turtles. They politely remind tourists of the 10 feet rule despite ample signage and warnings. I am always overwhelmed by how individuals will step forward in such places to protect nature. For all of the narcissism and stupidity of some tourists harassing these turtles,these volunteers represent the very best of our own species. In the morning we fly to Kauai and bid farewell to the turtles, waterfalls, and beaches of Oahu. Hawaii is the only state I’ve yet to visit. We have water turtles here at our marina in New Bern, NC. They will come to the surface by the side of the doc or boat and beg for food. They like crackers. Or Cheerios. I need to buy some healthy turtle food. What is good for them to eat? My grandsons and I thoroughly enjoyed watching Gammera! Obviously, Gammera loves the camera! Squeeky…..Love that! Thank you. A close friend who is Jewish, from Brooklyn, now in Texas, introduced us to Klezmer. He lived with us for a year…He plays in several bands of all genres. IMO he’s the best drummer, ever, Played with Chick C. and others in NYC years ago. Just fabulous. And yes, I’ve seen Bunny Lake but didn’t remember Noel Coward! Cindy Bragg – Noel Coward wrote a couple of brilliant plays that were made into movies. He also starred in movies. Paul C.. yes, thank you….But I never seem to recognize him when he’s in a film. I would love to see Present Laughter either on stage or screen. Sounds like a great one of his. Wonder if it’s on Prime Vid…..Will check. Paul C. Thank you, kiddo! You’re too kind! This Happy Breed is a favorite film….had no idea it was based on his play, as well as Brief Encounter. What a prolific talent! Cindy Bragg – he is a polymath. PAUL..C. don’t know what that is, but will look it up. This is for extra credit, right? Cindy Bragg – you will get a check mark. 😉 I am also a polymath, as is Squeeky. Paul C. You and Squeeky indeed are polymaths. I’m impressed! I am NOT a polymath. A few of my aunts think I am because I don’t date men, but I swear I am not! I loved his Blithe Spirit! Oh, the ghost lady was sooo cool! One of my favorite movies! Noel was gay as could be, but in a good way, like Cole Porter, Somersault Maugham, or Gore Vidal. Gays like that, I could be around and enjoy myself. Squeeky….when I was a young single school marm in Okla. I lived around a gaggle of gay men. I had a blast, but when I was about to move to D.C. they made me promise that I would stop hanging around gay men! Lol. They were so much fun..i still keep in touch with one of them. Squeeky – the best thing Gore Vidal ever did was move to Paris. Paul C. … I think I’m somewhere between pollyanna and polyester! My first introduction to klezmer was on one of my fathers vinyl LPs. They were playing Fiddler on the Roof songs in klezmer jazz style. I will try to dig it out and find the group. Turtles! I rescued a Red Slider with about a 1 foot shell from the backyard and the ungrateful critter bit my dang hand (ouch) and wouldn’t let go. I had to pry its beak open with my left hand. I went ahead and took it to the river to set loose. Same with a little green lizard that got in the house. I caught it before the cats could get it, and it bit my hand, too, and wouldn’t hardly let loose. It didn’t hurt, though. Sooo. I would tend to view these turtles from a distance. What a great thing to experience for you and your family. I’ve enjoyed reading about your Oahu adventures. Looking forward to hearing about Kauai. Red turtles run the White House. Why not White turtles there you might ask. The choice is not an echo. It is either Red or Blue. A Red is not a communist, despite what the McCarthy Era preached. A Red is a RepubliCon. And no they are not there to con you. Four legs good– two legs Baaaaaad! As far as Hawaii goes, it is far away from DC. Redfoot tortoises meet & greet owner. Then attack. No tasty meals. Redfoots know who the source of food is, even if it means biting the hand that feeds you.